Why Have Tornadoes Increased in New England This Year? Tornadoes touched down in Lincoln, Rhode Island at approximately 3:34 p.m. and Sandwich, Massachusetts around 6 p.m. on Tuesday. 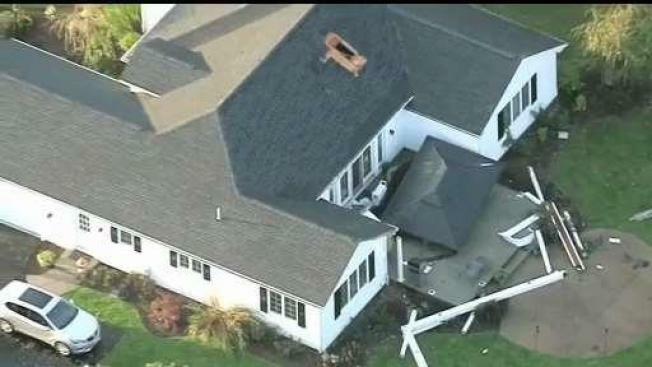 Nearly two dozen tornadoes have so far struck New England this year. The only states that have not had any are Vermont and Maine. On average, each New England state sees just one to three tornadoes per year. Tornadoes in Massachusetts are most common when tropical air masses work up from the south. There’s been a dramatic uptick in tornado activity across New England this year, with nearly two dozen tornadoes reported around the area. Connecticut is up to nine touchdowns, while Massachusetts has seen seven tornadoes. 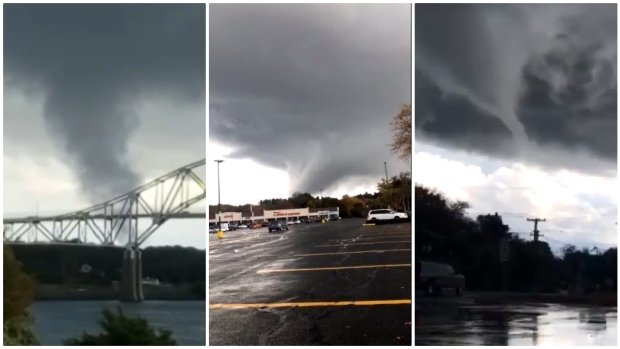 New Hampshire has reported three tornadoes, with one touching down in Rhode Island. No tornadoes have been reported in Vermont or Maine. A few additional waterspouts, basically tornadoes over water, have also been spotted offshore. Those only count as official touchdowns if they reach land, as two have done in Massachusetts. One was seen in Sandwich while the other in Woods Hole, both in October. On average, each New England state sees just one to three tornadoes per year. But remember, that is an average. There are many years with no tornadoes, and then some years like this have many. In fact, this isn’t even the year with the most tornado touchdowns in Massachusetts. In 1958, a total of 12 tornado touchdowns were reported in the Bay State. In 1956 and 1972, there were 10. A total of eight tornadoes touched down in 1963, 1970, and in 1997. Most of the tornadoes this year have been generally small and on the low end of the Enhanced Fujita scale, which rates twisters from zero to five based on wind speed and damage. Massachusetts is not immune from seeing more intense storms, however. You may remember the EF-2 tornado that touched down in Revere in 2014, the deadly EF-3 storm that hit Western Massachusetts in 2011, or even the powerful 'Worcester Tornado' that struck Central Massachusetts in 1953. 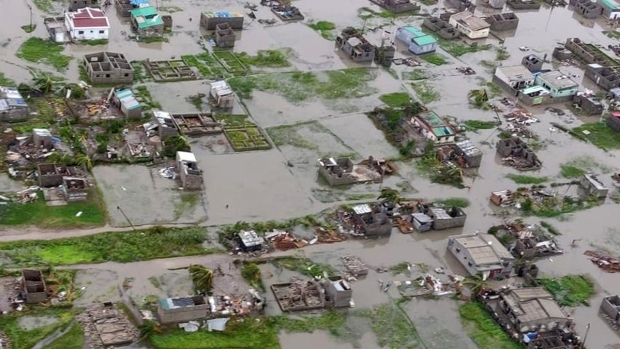 That storm ravaged Worcester and surrounding towns, killing nearly 100. Tornadoes in Massachusetts are most common when tropical air masses work up from the south. That often happens in association with warm fronts, which can help create twisting winds in the atmosphere. On one side of the front, you may have a cool northeast wind, for example, with warm southwest winds south of the front. This year has featured many such warm fronts, which partially explains the uptick in activity. Another factor that needs to be considered is technology. Our radars are now better than in past decades, better detecting where storms may produce a tornado. That allows meteorologists to follow up and confirm touchdowns in areas even where people don’t live. In the past, those tornadoes may have gone unreported. In a similar vein, the widespread use of smartphones makes documenting storms much easier. With so many camera phones around, it’s hard to miss even a brief tornado. Many of the twisters that hit New England this year were on the ground for just minutes.